The Elephant Yard shopping centre is located in the centre of Kendal and boasts great shopping including a mixture of high street brands and local names. 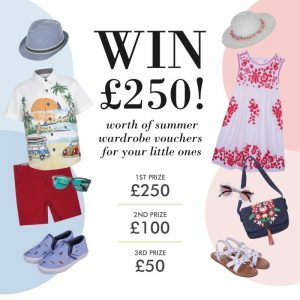 This summer Elephant Yard are running their biggest competition to date, enter and you could win £250, £100 or £50 worth of vouchers to spend at the Yard! Entry to the competition is simple, head down to Elephant Yard and count the number of elephants hidden in shop windows across the Yard. Hint: Look out for their little umbrellas! Send your answer via a message on Facebook or Twitter to enter the prize draw. To double your chance of success, simply take a selfie and share it using the hashtag #FindingElephants and you will receive an extra entry. The winner will be drawn on Monday 31st July and full details can be found here.